Summary: A special discussion interview posted on July 8, 2015, held between Dai Gyakuten Saiban ('The Grand Turnabout Trial')'s Takumi Shū and the mystery writer Ōkura Takahiro, best known for his Fukuie Keibuho ('Lt. Fukuie') series. Takumi met with several mystery writers as part of the marketing campaign of Dai Gyakuten Saiban. 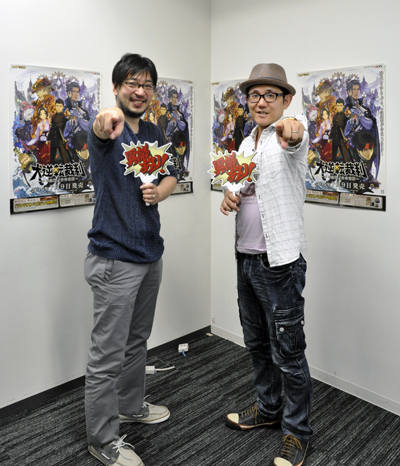 A shorter version of this interview also appeared on the official Dai Gyakuten Saiban website. In this interview, Takumi talks about several mystery writers, and novels, that have influenced his writing of the Gyakuten Saiban (Ace Attorney) series. Attracted by the Darkness of the Meiji Period! Interviewer: What do you think of Dai Gyakuten Saiban ('The Grand Turnabout Trial'), now you have played the first part? Ōkura: I see that the game has evolved a lot since the first Gyakuten Saiban. The foundation is the same, but this is at a complete different level. The graphics and music have of course changed, but the music that plays when things get exciting, that really matches up with the feelings of the users. The setting this time is the Japan and London in the Meiji period, but the contents are without a doubt the true evolution of Gyakuten Saiban. Takumi: Because the setting has changed from contemporary times to the Meiji period, the direction of the story has also changed. Unlike now, there was no forensic investigation back, and cars weren’t running on the roads, but carriages. What do you think about such a classic world? Ōkura: In mystery fiction, there are also of course the stories of Sherlock Holmes, who also appears in this game, but also the stories by Edogawa that effectively use the darker side of this time period as their setting, and I myself really love works set in this time (laugh). Takumi: It’s a period that people who love mystery fiction will be familiar with. Takumi: Because of the release of Dai Gyakuten Saiban, I was able to meet and talk with a couple of mystery writers, but their experiences with mystery fiction really lined up with my own, and I was really happy about that. I got a chance to talk with mystery writer Ayatsuji Yukito. The period he debuted in, that’s when the Shin Honkaku (new orthodox) mystery movement started! That was the period when Japan’s mystery fiction started to live up again. How did you experience that baptism? 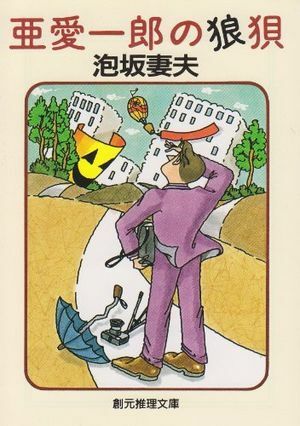 Ōkura: I was born in 1968, but to be honest, I wasn’t reading mystery fiction back when Mr. Ayatsuji published Jukkakukan no Satsujin (The Decagon House Murders) as the start of the Shin Honkaku movement. I started reading books because I was doing mountain hiking when I was in university and I wanted something to do in my free time. But it’s hard to suddenly get into real literature, so I started with mystery fiction. But I didn’t have the money back then, so I couldn’t buy new books. 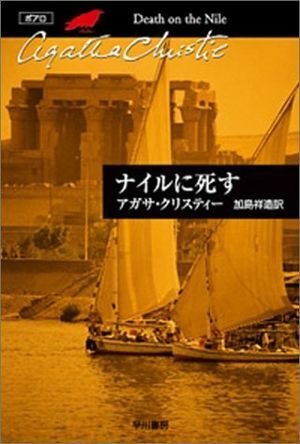 The used bookshop I visited happened to have Agatha Christie’s books, and I had of course heard of her, so I picked up Death On The Nile, which was very famous, and got hooked. I started to read more and more detective novels from that moment on. Takumi: I’m actually the same like you, I started with foreign novels. 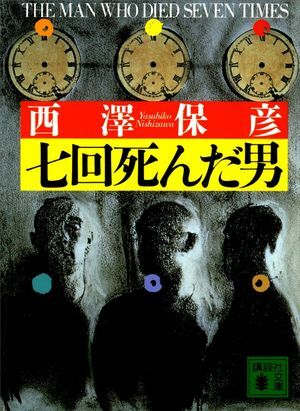 There are among some who love mystery fiction too among the younger staff members of my team, and a lot of them started with Shin Honkaku novels. Their feelings about it might be a bit different, as our first experience was quite different. For them, Dai Gyakuten Saiban’s setting of 19th century London might not be so familiar, but I think it’s a classic setting in mystery fiction. Ōkura: it’s the best of times. The time where mystery was born. Takumi: Precisely. I had to research the 19th century for the first time to make this game. They didn’t have forensics investigation techniques back then, but it was the period when new techniques like fingerprinting and cameras, things that we still have now, were introduced. At the same time, it’s also an interesting period, where you can still dream of a Holmes who might be using his own unique scientific investigation techniques even we in the modern time don’t know about. For this game, I had the image of introducing modern people to the strange world of 19th century London. By having the users solve incidents that happen in the everyday life of that strange world, by having them experience that magic, I think they’ll get drawn into the game. Ōkura: Just hearing about it makes me excited for it. To make a sort of darkness where something can happen in modern-day Japan is difficult, but in the London of time long past, or the start of the Meiji period, darkness can be created quite naturally, and it’s precisely that, that is interesting. Interviewer: I’d like to hear about the mystery novels you like. Takumi: I really love the A Aiichirō series (by Awasaka Tsumao) and the Father Brown series (by G.K. Chesterton). Mr Ōkura, I read your works, and the second and third books in your Shitaro Osamu series, their titles contain the keywords ‘confusion’ and ‘flight’. Was that an influence of A Aiichirō? Ōkura: I too love the Father Brown and A Aiichirō series, but I wasn’t thinking of that in particular. When I wrote the second and third book and thought about the title, the words ‘confusion’ and ‘flight’ just seemed right. Takumi: The first book in the Shirato Osamu series just started with ‘The Casebook’, so I thought that from the second book on it suddenly became like A Aiichirō (laugh). Ōkura: I love all of Awasaka Tsumao’s works, but especially his A Aiichirō series. You used “The DL6 Incident” in the first Gyakuten Saiban game, right? I figured that you liked Mr Awasaka’s works then, and I remembered I nodded when I later saw you said exactly that in some interview. Of the A Aiichirō series, I like especially Haita no Omoide (‘Memories of Toothache’), in the third volume. The sense for naming characters was wonderful, Mr. A, Mr. Ii, Mr. Ueoka, names that followed the Japanese a-i-u-e-o-ka-ki-ku-ke-ko (etc.) syllable order. Takumi: Where it goes “Mr Ueokakikukeko….” followed by “No, it’s read Ueoka Kikuhiko”. Ōkura: Yes. “Mr. A, Mr. I, Mr. Uekakikeko… eh?” That happens several times in that short story (laugh). Mr. Awasaka really loves wordplay like that. I really love that in the Gyakuten Series, in that thrilling world where one mistake might mean the death penalty, the characters have names that are brilliantly ‘off-course’. Takumi: I really love Mr. Awasaka’s warm sense of comedy. I used to read famous novels like those of Van Dine, but to be honest, I sometimes felt these serious novels were hard to get through. 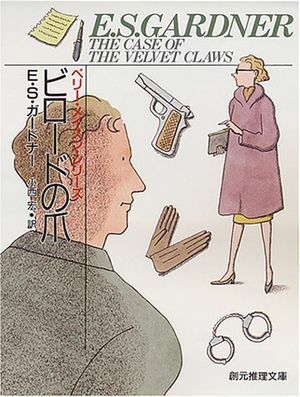 It was then that I first read Awasaka’s comedy mystery novels, which are easy to get into and leave a warm feeling. 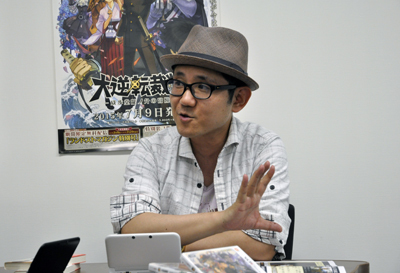 Ōkura: I really like it that comedy mystery fiction influenced the creation of the Gyakuten Saiban characters. When the witnesses react to being called out by the protagonist, there’s stuff like borscht flying around, there’s always some action happening, right? (laugh) I really want to ask you about this,. Do you usually work on the scenario all by yourself? Takumi: For my own games, yes. I of course talk with the other staff members involved, but basically, it’s just me writing. Ōkura: But all of your games, including the older ones, are really very well done. Makes you go “Who could have thought of that!” How did you think of making a game with a lawyer, actually? Takumi: One of the biggest inspirations for coming up with Gyakuten Saiban was the Perry Mason series, which also has a defense attorney as the protagonist. I was surprised the attorney was doing his own investigation, and there had been no game with a similar idea, so I figured that this was new. I then started making the story and I had a few of my favorite ideas about contradictions ready. Like the witnesses claiming they ate a T-Bone steak, even though there was no bone left on the plate. I spread little ideas like that across four episodes, and then plotted a case around those ideas. That’s how I came up with the stories. Things got difficult of course once I was out of my stock of ideas for contradictions (laugh). I used all of them in the first game, so back then, I really thought that making a second game would be impossible. Ōkura: I get that (laugh). When I was writing the Fukuie Keibuho ('Lt. 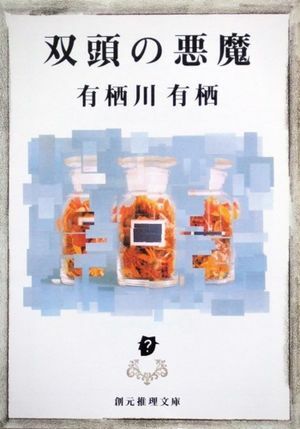 Fukuie') series, I had a stock of little ideas, like “There’s a mark left by a can of beer, but they weren’t holding anything’, so I used that in the first book (in: ‘Saigo no Issatsu’ (The Last Copy’) in Fukuie Keibuho no Aisatsu (‘Greetings from Lt. Fukuie')). I figured nobody would buy the book, but it did sell, and it was decided I’d do a sequel. But I had gone through my stock of ideas by then, so I had to start all the way from zero (laugh). Takumi: A real clean start (laugh). 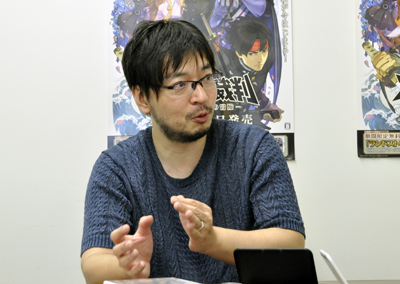 Ōkura: I remember the stories of the third game especially well of the whole Gyakuten Saiban series. For example, that episode where there’s that hanging bridge to the Hazakurain (Hazakura Temple). The atmosphere was brilliant, like in Arisugawa Alice’s Sōtō no Akuma (‘Double-Headed Devil’). Takumi: Ooh! But you’re exactly right! The image I had for that case was based on Sōtō no Akuma. Ōkura: In the first half, there’s a very meticulous chain of reasoning about the tracks left by a snowmobile in the snow, right? But in the latter half, it’s more like Nishizawa Yasunobu’s Nanakai Shinda Otoko ('The Man Who Died Seven Times’), where the person you see might not be same as they are inside. The reasoning is then done in an unique, science-fiction-like setting. Takumi: How sharp of you, all of them correct (laugh). There was a time I was really hooked on Nishizawa Yasunobu’s works. The friend who recommended me your works, also recommend Nanakai Shinda Otoko. So I read his science-fiction mystery novel series and that influenced the world of Gyakuten Saiban in a lot of ways. Ōkura: I think it’s wonderful that you managed to add the element of spirit channeling, and still make believable world, where a case is solved. Takumi: Thank you very much. But when I made the first game in the series, occasionally you’d hear: “It’s against the rules to use spirit channeling in a detective story”. That made me a bit angry (laugh). Ōkura: That is the correct reaction (laugh). Takumi: I had spirit channeling in the first game already, but I didn’t let it get involved with the mystery plot on purpose. From the second game one, I started to use spirit channeling in the mystery plots, to show that you can have an orthodox detective story even with spirit channeling. Ōkura: As long as the rules of that world are made clear in advance, it’s not unfair. Takumi: Precisely. Orthodox mystery fiction is actually quite open to all kinds of things (laugh). Ōkura: Nowadays Shin Honkaku has changed quite a lot, but it really excites me to see that also influencing Gyakuten Saiban, which features a world I love so much. Takumi: Thanks (laugh). It makes me really happy. Ōkura: I shouldn’t be worrying about this, but I always think about how hard it must be for you to write the scenario whenever I play the games. Takumi: I think that what is hard, is different from writing novels. For example, games take a long time to make, over a year, so I can polish up my work while discussing it with everybody. Novel writers can’t do that, right? Ōkura: That is right. Usually, you’re working on your own. Takumi: So it’s difficult to say who has a harder job. Ōkura: In Dai Gyakuten Saiban, when you have that scene where fires goes flying from the jury member’s hands into a scale, that’s only possible in a game. You can really get the users’ hearts with presentation like that. Takumi: It’s a completely visual world, of course (laugh). Ōkura: I think that one of the more attractive points of the Gyakuten Saiban series is that there is entertainment to be found even in an event as small as that. Takumi: Thank you. The theme of the Gyakuten Saiban games is logic, so it isn’t fun if the jury members all get carried away by their feelings and let the fire fly. So while the presentation is showy, I made sure that it’s still a game that is about convincing the jury members with logic. By the way, in the Joint Reasoning system of Holmes and Ryūnosuke in Dai Gyakuten Saiban, Holmes will make one sharp, but slightly off-course deduction, and Ryūnosuke corrects him, so I had to think of two deduction chains based on the same clues. It was fun writing the project proposal, but once I really had to think about it in details, I realized how difficult it was (laugh). I really hurt my brains over this new game mechanic. But it was fun creating it. Interviewer: One last message please. Ōkura: When I play Gyakuten Saiban, I have fun not only with the main story, but also the little details that have nothing to do with that. So I want the users to not be hasty, but have fun with the details. I think the experience becomes so much better if you don’t rely on a walkthrough site or a guidebook, but play while sticking your head in all the corners of the game. You really need to be prepared to “press” all the suspicious characters. You can be pronounced guilty as often as you want, so take your time and enjoy how the Gyakuten Saiban series has been made all the way until now. It’d be a shame if you’d miss out on that. Takumi: What I aim for, is that beautiful moment of surprise, when you solve the case with logic and the puzzle pieces fall in place. I hope the users can also enjoy the fun of such logic with Dai Gyakuten Saiban. Interviewer: Mr. Takumi, Mr. Ōkura, thank you very much.